Fishing has been good in general. Great fishing takes place when the weather has been fairly calm, bringing along lots of choices. When the weather deteriorates, options get very limited but still offer possibilities. March has always been a very temperamental month, with lots of wind as result of late season cold fronts, which mark the end of winter time and beginning of spring. We've had a couple of those, bringing lots of wind from the NW, making the gulf, flats and backcountry bays very rough and muddy. When the weather has been kinda chilly and windy, I've been seeking shelter way out deep in the back, snook fishing among the mangroves with lots of success. Most fish are in the 15 to 20 inch range but almost always a few nice big fish are caught among the juveniles. The fishing for View more...Fishing has been good in general. Great fishing takes place when the weather has been fairly calm, bringing along lots of choices. When the weather deteriorates, options get very limited but still offer possibilities. March has always been a very temperamental month, with lots of wind as result of late season cold fronts, which mark the end of winter time and beginning of spring. We've had a couple of those, bringing lots of wind from the NW, making the gulf, flats and backcountry bays very rough and muddy. When the weather has been kinda chilly and windy, I've been seeking shelter way out deep in the back, snook fishing among the mangroves with lots of success. Most fish are in the 15 to 20 inch range but almost always a few nice big fish are caught among the juveniles. 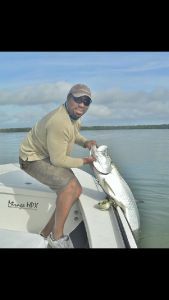 The fishing for snook on the flats out front has been excellent with lots of big fish around. They have been bitting flies and soft plastics very good. Redfishing on the flats out front has been good the days with calm weather and cleaner water for sight fishing. We've also picked up quite a few good speckled trout off the potholes, mullet muds and the banks out in the Gulf. Early spring time produces some of the biggest trout of the year. Tarpon are my main target for the next 3 months. You will find me most of the time flyfishing between the keys and the Everglades, working banks, basins and edges after the silver kings. I spent a couple of days in whitewater and the rivers last month, throwing flies and plugs at tarpon. Found some laid up fish and a few pods of rollers that responded positively to our offerings. Fish will continue to get thicker in the river mouths, beaches and backcountry basins as more continue their migratory journey to the keys. 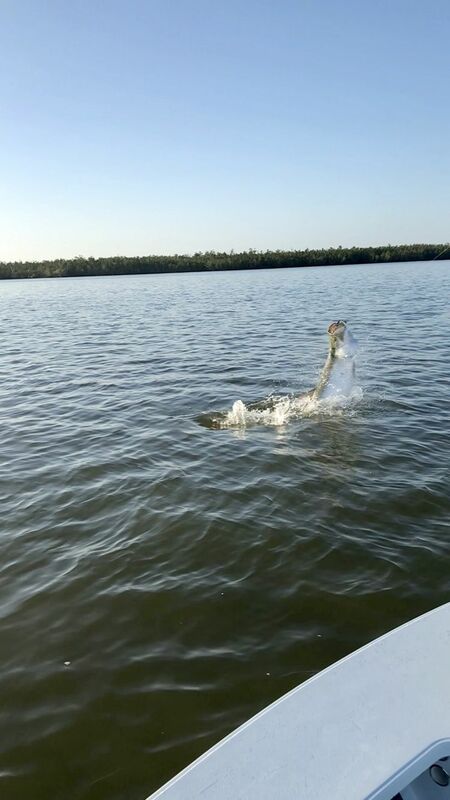 If tarpon fishing is your thing, This is the very best time of the year to get that bucket list big tarpon of your dreams. Give me a call or shoot me an email and let's go get some.